When will the schedule be posted for my state festival? The first schedule will be posted on approximately one week before the WSMA State Solo & Ensemble. What if I need a time change for my state event? Emergency time changes should first be handled by the school music teacher. The music teacher can try to resolve the conflict with another event (in the same site) in your school. If you can’t resolve it, you can contact Erica Ruppert at WSMA to see if there are any other options. How do you decide which state festival schedule will be posted first? Beginning with the first weekend, the state festival that has all of its events registered will be scheduled first. WSMA checks every entry that has qualified for state festival to ensure it has either been registered to perform or has been marked as not attending. 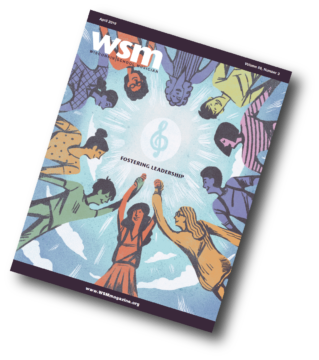 If a festival site has events that have not been confirmed, WSMA contacts the teacher(s) to request that they complete the registration process for their events. What are the future state festival dates? Each year there are two weekends of festivals. How many events qualify to perform at state festival each year? In 2017 there were over 11,000 entries that qualified to perform at a state festival. How long does it take to schedule a state festival site? It takes approximately 24 hours of work time per site. Last year it averaged out to approximately one minute per entry. While most take hardly any time at all, there are some entries that can take over 30 minutes to fit into a slot. Why do some events take so long to schedule? Why was the time request option taken off of the registration page? In recent years the number of time requests grew so large that it was no longer possible to honor the true “emergency” time requests (funerals, etc.) and the scheduling of each site was taking longer and longer, delaying the time when the schedule could be put in teachers hands. In 2008 the average number of events with time requests was 35%, with the two highest being 53% and 42% of the entries. It simply became impossible to honor all of these, and still accommodate the true “emergency” situations. By changing the request process the average percentage dropped to 12%. Why are time requests difficult to accommodate? 1. About 70% of the time requests want to be “first thing in the morning,” and the other 30% want to be “as late as possible.” There are only 24-36 performances for any given time slot (because that is the number of rooms available), and for most ensembles there is only one performance room option. You can see that when you combine all of these factors, scheduling is a very tricky process. WSMA honors requests to the best of its ability, and when not possible to meet the request, the schedule will come as close as possible. Going to prom (and scheduling hair appointments for it) is a big deal for our students. Why doesn't WSMA recognize this as an 'emergency' time request? Prom is an important local event in the lives of high schools students. A state level WSMA Solo & Ensemble Festival is also an important event for all of the students attending your state festival location. The number of schools that have prom on the same weekend as a state festival is quite high, making it impossible to honor this request for all of the entries it would apply to. Every effort is made to provide the best schedule possible for all of the student’s attending state events. I really do have an emergency time request. How can I make a time request? To make a request, the school music teacher needs to go to MyCenter>State Festival and fill out the “State Time Request Form.” Requests will be handled on a case by case basis. Blanket time requests for all of a school’s entries cannot be honored. When will my ratings be posted? Ratings will be posted as soon as possible after the event. Typically ratings are posted on the web site by Sunday or no later than Monday after the event. Congratulations on Qualifying for WSMA State Solo & Ensemble! We hope you will also consider auditioning for the WSMA State Honors Project in the fall. You may be the musician we are looking for to complete the ensemble! Interested in receiving a reminder in the fall?